Brasserie Lefebvre was founded in 1876 by Jules Lefebvre. Over the years it has known its fair share of troubles, but despite all that, it continues to brew great beer. Following forty fairly uneventful years, in 1916 the brewery was stripped of its coppers and other metal fittings by the German army. After the war in 1921, Jules Lefebvre’s son Auguste relocated the brewery to escape persistent flooding. The family’s third generation, Gaston Lefebvre, modernized the brewery in 1921 starting with a bottling plant, and in 1932 the introduction of new vats allowed a technical edge over the competition. From 1940 to 1945, the war and the death of Gaston’s wife had an impact on the company’s growth. The brewery was not dismantled but the obligation to only produce a low alcohol beer up to 0.8% ABV affected all breweries. As a result, this obligation slowed the decline. In 1960, son Pierre Lefebvre took over and a new beer, Porph-Ale made its appearance. At 5% ABV, this top-fermented beer took its name from the locally quarried stone. Another beer, the Scotch type Super-Houblo, with an ABV of 6% was born in 1966. Fifth generation brewer Philippe Lefebvre took charge of the brewery in 1975. Five years later the company began exporting its produce, sarting with its Bonne-Espérance - Good Hope - to Italy. In 1983, the Floreffe Abbey Brewery granted the Lefebvre family the brewing license for its special beers. 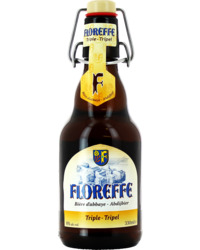 Initially composed of three beers, rapidly increasing to five, included Floreffe Double, Floreffe Triple and Floreffe Prima Melior, to be joined by Floreffe Blonde, and Floreffe Blanche. The year also saw the arrival of Ann Suenaert, Philippe’s wife, who took over the administration and finances at the brewery. 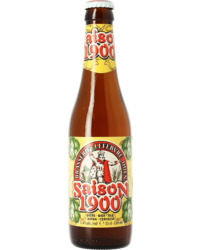 In 1989, a wit beer, Student, made its entry, although it would soon be Blanche de Bruxelles. 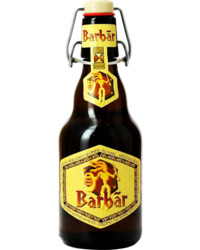 In the 1990s the brewery continued to innovate, launching Barbãr in 1996, a honey-flavoured blonde beer. 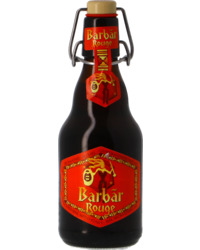 Its little sister, Barbãr Bok, a winter brew, arrived the following year, and in 1998, an apple beer Newton was launched. 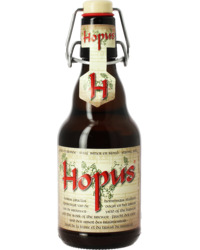 In 2002, Paul Lefebvre, another in a long line of innovators, joined the brewery. 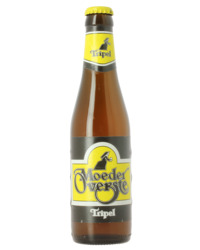 In 2003, two new beers, a Kriek and a Pêche were launched. Two years later, a Raspberry beer was created launched, and the range was completed by a high-quality Pils beer, Quenast. After six generations, this brewery remains a family affair, proud of its heritage.